If you are considering to tag your project management career and looking for the best PMP Training Riyadh option, we prepared this post to help you in your quest to find your favorable provider. While reading this post, we will walk you through our top 10 picks for PMP Certification Riyadh training choices. Project management professional is one of the highest tags in project management career certifications. Due to its popularity, the certification provided by the Project Management Institute (PMI) gained global recognition. Beside solid requirements, PMP is widely considered by recruiters as the tag for a highly talented and professional project manager. Furthermore, an independent salary survey revealed the fact that certified PMP professionals benefit a 20% higher salary than their non-certified peers. To assess your eligibility, you can take the following PMP Eligibility Quiz. With a first attempt success rate of 99.6%, we have created a 7-step PMP study plan that helps over 50,000 professionals in more than 180 countries. Read this PMP study plan and create your own PMP preparation Riyadh plan. Now that you know the PMP certification requirements, it is the time to plan ahead for your journey to gain your PMP certification. Thus, you need to know some decisive elements that will help you with your journey of gaining PMP certification. This journey may seem a straight forward study, exam then certify process, however, for PMP it’s a little different. Moreover, gaining PMP requires organized efforts starting from creating a solid study plan then preparing for the exam. This plan is the cornerstone for your epic PMP journey and the exam preparing is the final step to make you fully ready. We have compiled a 7 -step study plan to help you make your quest more comfortable. Thus, you can review our PMP study plan then create your own version. Then, you can use the created study plan alongside a proper 35 hours of PMP training to pass the exam easily. You can also review PMP Certification Ultimate Guide and follow the lead of 50,000 professionals obtained their PMP certification using our PMP study plan. Now that we shed the light on what’s needed to be done, all you need is to pick the right PMP certification Riyadh option. We will include our platform as the first PMP training Riyadh provider. However, in order to provide an unbiased review of all PMP training providers in Riyadh, we will not provide any review for our platform. Master of Project Academy is the #1 affordable and flexible Riyadh PMP training provider with 99.6% first attempt pass rate. Note that, 99.6% is the first attempt pass rate of Master of Project Academy students. Master of Project does not count second or third attempt passes in “pass rate” ratio, unlike other PMP training providers. Besides, this is a weekly updated, audited and backed up pass rate ratio in the footer of Master of Project Academy homepage. Over 50,000 professionals in more than 180 countries enrolled in Master of Project Academy’s PMP training. 100% Online and Self-Paced PMP Training Master of Project Academy includes 35 contact hours required to be eligible to sit for the PMP exam. Instructors are 24/7 available in discussion forums. 300+ lectures, 750+ PMP Practice Questions and flexible pricing options are the highlights of this option. Visit self-paced PMP training online page for more details or from the link below. If you are looking for a PMP training with thousands of PMP practice questions PMP Certification Online Training bundle will be a good option. The most comprehensive PM training bundle of Master of Project Academy is Project Management Course Online program. Master of Project Academy offers weekdays and weekend Virtual PMP training sessions. Duration of the PMP course is 4 days and 35 contact hours. Weekday sessions start on every Monday and end on Thursday. Weekend sessions start biweekly on Saturdays and end in two weekends (Saturday & Sunday). You can learn more about Online PMP Class options from the link below. PMP success stories of Master of Project Academy proves the quality of this PMP certification Riyadh training option. Don Wheeler is one of the several PMP success stories of Master of Project Academy. Don passed the PMP exam successfully with the PMP training from Master of Project Academy and he scored “Above Target” on all five domains of the PMP exam. This is the highest score where a PMP candidate can get from the PMP exam. You can read Don’s PMP success story. Following are the details of Master of Project Academy. You can purchase the PMP training online from their website and follow the lectures on your own pace in any place. Our second choice for PMP Certification Riyadh Training Option is Witskills. Witskills Training Pvt provides a complete range of project management training courses. The provided PMP training covers the 35 project management education requirement. On the other hand, the course involves live classrooms with predefined course calendar where you need to pick up the date that suits you. Additionally, the course is instructed in English and the course venue is updated at least 10 days before the course date. If you choose this PMP Certification Riyadh option, you will be required to attend from 09:00 am to 06:00 pm with the cost of SAR 3935. Despite this option appeal, it lacks the flexibility of location and time. It also comes with a high price. This PMP Certification Riyadh training is one of the global training providers with wide local reach. Global Knowledge provides a wide variety of training globally and locally including project management, risk management, and other subjects. With a high standard quality of training Global Knowledge delivers PMP courses in three methods. These methods include Public Classroom, Virtual Learning, and Company Event. Also, the course delivery is basically through Bootcamp concept based on PMBOK Guide Sixth Edition. Sadly this great proposition comes with the expensive price of SAR 7,500.00. This price is set for both classroom and virtual learning. Despite the expensive price virtual learning provides great flexibility in terms of location and schedule since it’s self-paced. Our next PMP Certification Riyadh option is Unichrone Learning. This option offers PMP Training Course in Riyadh based on PMBOK 6th edition in the form of prep boot camp with Exam Prep Pro Training. Also, it grants that PMI certified PMP instructors provide the course instruction and it earns you a 35 PDU certificate for course completion. In addition, this course requires you to attend a full day boot camp from 8:00 am to 17:00 pm for four consecutive days. Also, they announce location with the course date as an event. Though it may seem like a good option it comes at the cost of SAR 18613. In addition, there is the exhaustive nature of boot camp classrooms and the inflexibility of time and location. 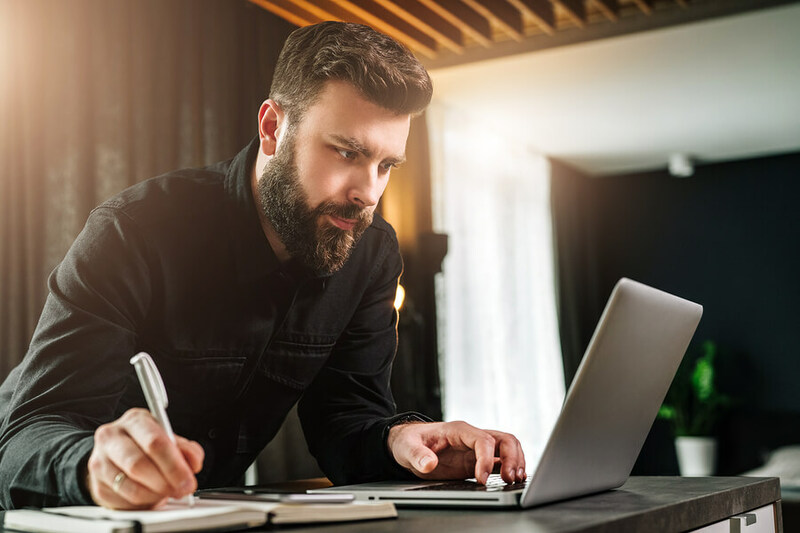 Also, they offer PMP training online instructor-led classes which provide the location flexibility but lacks the time flexibility of self-paced learning. The online course also has a high cost of SAR 6372. Next, in our list, we listed Grey Campus as the fifth PMP certification Riyadh option. Grey Campus offers several training courses in project management, quality management, IT service management and other topics. This PMP Certification Riyadh option offers Project Management Professional (PMP) exam prep boot camp 4 days training. In addition, they offer 1-year access for the e-learning along with the boot camp and a copy of PMBoK Guide Sixth Edition. Also, it satisfies the required 35 PM education for exam application. Grey Campus is a global Registered Education Provider. Grey Campus pricing varies according to the training delivery format. For instance, live online training costs around SAR 3750 while one-year e-learning access to online self-learning costs around SAR 1875. On the other hand, traditional classroom requires from you to request a quotation. Accordingly, we can say this option, provides a good punch of varieties and options but with a higher cost than other providers. 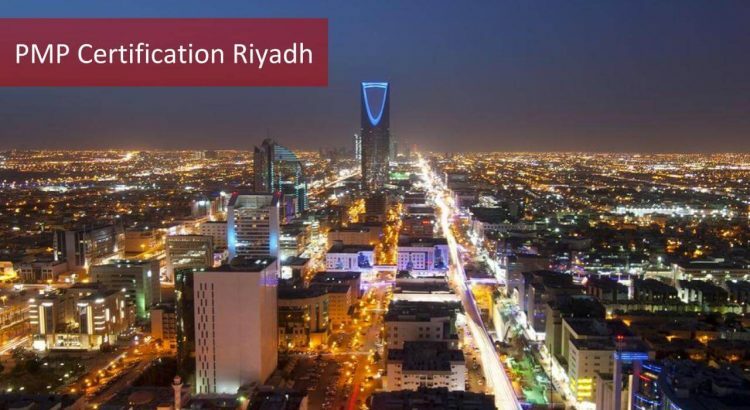 Morgan Intl is our next pick for the list of PMP Certification Riyadh options. They offer training courses in digital marketing, finance related certifications, project management, and other subjects. This PMP Certification Riyadh option offers high-quality live classroom training. Bringing in global experience Morgan Intl offers its services to both business and individuals. Also, they deliver the course in online live course format which can provide location convenience. Although this option seems like a very good option, it has a high cost in comparison to other options. Address: Abi Bakr Al Siddiq Road, Ma’adan Bin Awss street (Qalat An Najm), next to Najd Village, Building no. 1, 3rd floor. Next in our list for the list of PMP Certification Riyadh options is Icert Global. Icert Global conducts PMP training program based on the Project Management Institute’s PMBOK® Guide 6th Edition. The course will walk you through the project lifecycle, process groups, knowledge areas. As well as walking you through the functional knowledge and business insights to lead and manage projects effectively. On the other hand, this PMP Certification Riyadh option offers the course in the format of a 4-day PMP training program. In addition to offering additional 90-day access for PMP e-learning at the cost of SAR 399. To know the cost of the course you would need to request a quote through the website. Bakkah is our next pick for the list of PMP Certification Riyadh Options. They offer a variety of courses including project management, information technology, business analysis, and other topics. Accordingly, they offer PMP as a classroom training in a 6-day boot camp. As a sort of flexibility, they provide the training from 5:00-10:00 PM. Moreover, the course costs SAR 3,990 and you can select the date you desire from an online calendar on their website. Despite the appealing pricing and the partially convenient timing, this option lacks the self-paced option of online learning. Address: Alnargas Commercial Center, Second Entrance. Second Floor, Office # 9 Intersection between AbiBakr AsSiddiq Rd & Thumamah Rd, Alnargas Dist. Next in our list for the list of PMP Certification Riyadh options is Netcom Learning. NetCom Learning, keeping in pace with the changing technology, provides the best of learning resources through more than 2700 professional courses. They have an elite team of instructors and support members who help you and your team leverage on technological developments, sharpen the skills and optimize business operations. You can either choose an instructor-led training, private training, e-learning course, and more delivery modalities. The cost of 35 hours PMP training course is SAR 11230. Although this option offers a variety of delivery methods, it’s comparatively expensive compared to other options. Our last PMP Certification Riyadh option in this list is Alfaisal University. The university provides a set of professional training besides its academic studies. The set of training offerings includes project management, accounting, finance, and other professional certificates. Moreover, this PMP Certification Riyadh option offers PMP boot camp in traditional classroom format at the cost of SAR 5000. As this training is provided in the classroom format, it requires extensive attendance. Additionally, it does not provide any sort of e-learning options. Accordingly, it does not have any sort of flexibility provided by self-paced e-learning options. Now for the next step after reviewing the PMP certification Riyadh training options and formulate your study plan, we will walk you through how to schedule your PMP exam in Riyadh. There are two PMP exam Riyadh test centers, and there are also some other Prometric test centers in the cities close to Riyadh. You can locate these PMP exam Riyadh test centers from the Prometric website, as seen in the image below. As a final summary of the review we provided, we listed the top 10 PMP Certification Riyadh training providers. Also, we reviewed them and discussed the different options pricing. As a conclusion we find the classroom training pricing ranges from SAR 3500 to over SAR 18600. There is also their exhaustive nature for attendance. Meanwhile, the virtual live training is not so much different in terms of cost and lack of flexibility. But when we talk about online PMP training options, we find it cheaper in price, since you can enroll in online courses for less than SAR 1400 for a whole year subscription. Moreover, PMP online training courses provide their students with the flexibility of both time and location since the online PMP training options offer the chance of learning at your own pace option. That being said, online self-paced training courses are preferred by most PMP certification seekers. Due to the flexibility it provides, a student can learn at his own pace by his own schedule. Moreover, there’s the place flexibility, since the student can study at the office, home, outdoors and even in transportation. This not only helps the student manage his time but also helps him make good use of his free time. In conclusion, the price advantage, the flexibility, and the accessibility make online courses the better option for your PMP certification Riyadh training.